← CHT part #3, Letters, notes, sources and inlets. Above, a real world proven Corvair system, the Wagabond cowl. 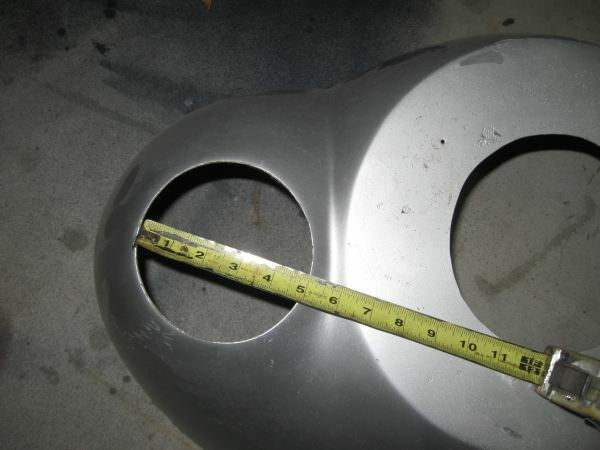 Note that the air inlet is a simple 4.875″ hole in the cowl. This aircraft has flown at the record gross weight for Corvairs, it has always lived in Florida, it has a very large airframe with plenty on drag to spare, and yet it never ran hot, even with a front alternator and no inlet cooling rings. Why? because Corvairs have excellent cooling. builders can either utilize this success or they can ignore my suggestions. If they chose the latter and it doesn’t work, they rarely see the problem as a people issue. For some reason, a fraction of builders will focus on stories of people who has trouble with one-off ideas rather than looking at all the people who are flying proven ideas without issue. This while series started because I was angry about people offering the unfounded opinion that Corvairs inherently ran hot, and that the cowls we offer and the way we teach people to cool the engine does not really work. Over the last several nights the stories I have written have been to counter these ‘opinions’ with facts and data, and offer links to show that this cooling is not an issue with Corvairs. The last sentence in his note indicates to me that some people are not really reading what I have to say, and my words are competing with a predisposition on their part to still believe that there is something wrong with the cooling as we build it. I don’t blame the letter writer. He is exposed to many people talking about Corvairs, and at times it is hard to keep sorted out who has an ‘opinion’ and who has been testing and flying. This is why I was annoyed in the first place with people who have never owned a flying Corvair spreading rumors that “Corvairs need 6″ inlets”. On one hand it is just a lot of background static, but I am of the opinion that some of it sticks even when the recipient doesn’t consider nor remember the source. If you are new to a subject, be very discriminating when you choose to listen to people. Adopting perspectives, even partially based on false opinions it at best, a tremendous waste of time and energy. To me, the really ironic thing is that their are other alternative engines that really do have cooling issues that are very hard to solve. The Corvair is nothing like that. Yet the ‘buy it in a box’ imported engines with actual cooling issues probably generate less internet discussion than the Corvair does on this topic. Part of the reason is that the people buying those are largely shopping for an appliance, and people coming to corvairs are supposed to be here to learn about a machine. The latter should generate more discussion, but talking about things is not the same as learning, especially when much of the conversation is opinion, and when fact must compete with rumor during the phase where the new builders understanding just developing.